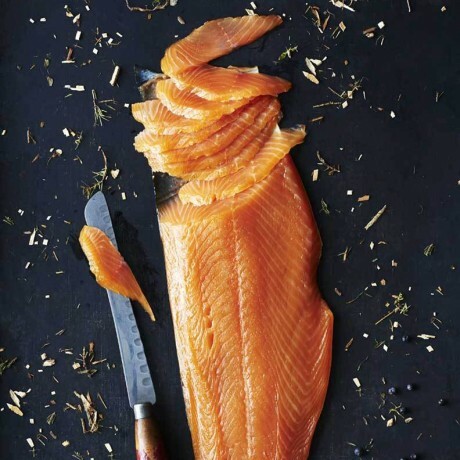 The finest sashimi-grade Scottish salmon, expertly smoked for an exquisite take on a classic. "Whats this?! No booze? Has the world gone mad?" The Pished Fish says. "Well, if you can't beat dry January, you may as well join it." Smoked delicately over juniper and cherry, this delicious smoked salmon has a Scandinavian vibe with a delicious meaty texture. Available in different sizes, choose using the option provided. 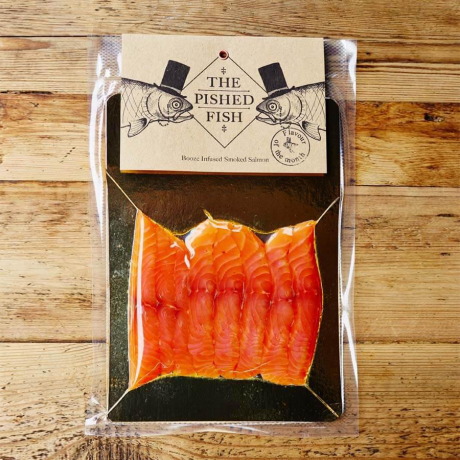 From filleting and curing to smoking, slicing and packaging, The Pished Fish do everything by hand using traditional methods. 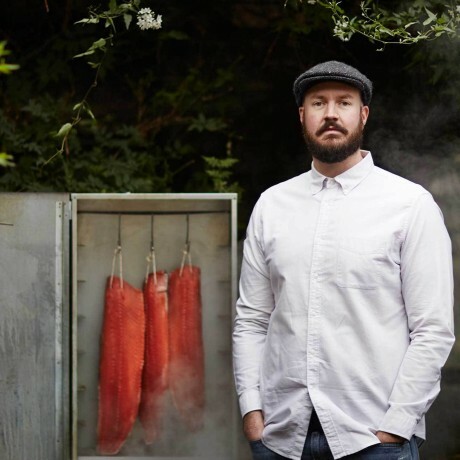 The salmon is slow cured for 72 hours then gently smoked in small batches over highest quality woodchips in order to enhance the flavour of the fish, but not overpower it. The fish they use is the finest salmon from the clean, remote waters around Scotland. Wherever possible they source salmon from Loch Duart, one of the pioneers of salmon welfare. They have tried smoking salmon from all over the world, but this is by far the best they've have found. 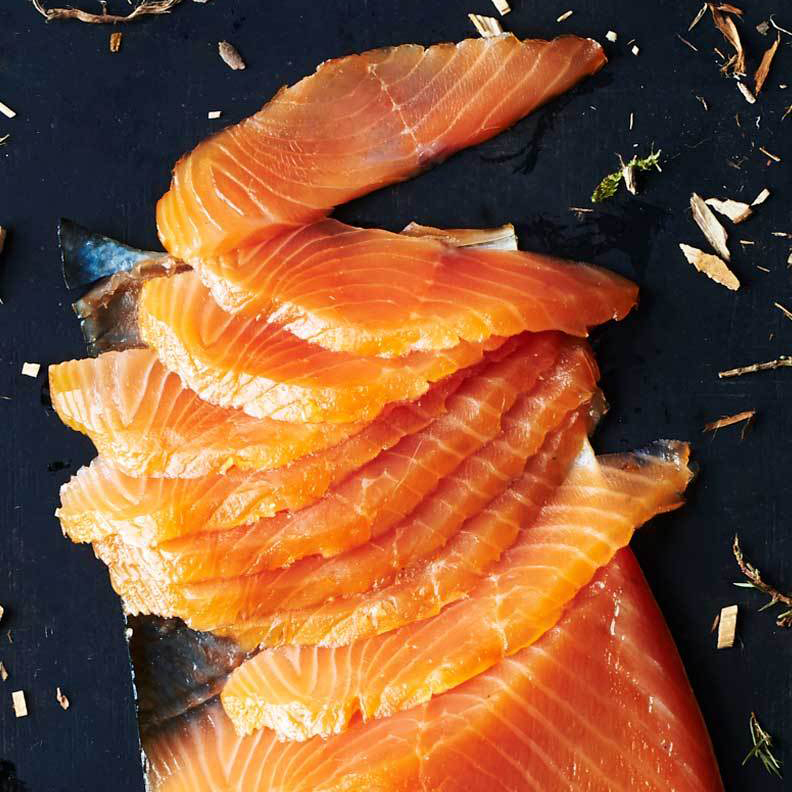 The salmon is sliced in thick, sashimi-style slices allowing you to fully experiencing the flavour; from the rich outer layer where the smoke and cure has worked its magic, to the creamy, buttery inner flesh. You simply can't go back to wafer thin sliced salmon after this. Finally, the salmon is carefully arranged, packaged and vacuum sealed by hand. As a general guide, you should allow a 50g serving per person. Please Note: If you are placing a big order then it may take a little extra time to be delivered, and in this case The Pished Fish will contact you to let you know. This is because they make to order and never freeze anything, so they may need to begin curing and smoking another batch.